Bassing Bob, LLC™ provides the following notices and warnings to the customer, member and/or user of this website (collectively referred to as the “User”). By using, entering, browsing, accessing, reading and/or otherwise surfing this website in any manner, User expressly agrees, understands and acknowledges that User is accessing this website for the purpose of accessing information and/or conducting business with no representations or warranties of any kind being made to User, directly or indirectly, with respect to User’s ability to catch fish of any kind and/or to obtain or achieve any result of any kind. User agrees and acknowledges that this website is not a guarantee, warranty or promise of any kind with respect to User’s ability to fish, to catch fish, find fish, release fish, spot fish, see fish and/or otherwise retrieve any fish of any kind from any lake, stream, river, and/or any other body of water of any kind. User is highly encouraged to rely solely on User’s abilities (or the abilities of others not associated with Bassing Bob, LLC™) to catch any fish of any kind. 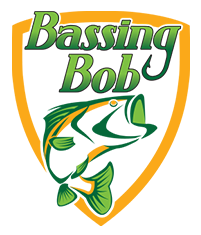 User further expressly understands and agrees that this website and/or any persons associated with Bassing Bob, LLC™ are not responsible in any manner for User’s ability to catch fish of any kind. 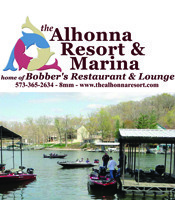 By using this website, User expressly understands and agrees that User cannot and does not rely on Bassing Bob, LLC™ and/or any persons associated with Bassing Bob, LLC™ for making any representations of any kind with respect to catching and/or finding any fish. User understands and agrees that the use of the Bassing Bob, LLC™ website is solely for informational and/or business purposes only and not to be relied upon for the purpose of guarantying that any person will and/or can catch fish. Bassing Bob, LLC™ makes no warranties, guaranties, representations, statements and/or promises of any kind with respect to User and/or anyone’s ability to catch fish and/or achieve any result of any kind while fishing. At all times relevant, User represents and states to Bassing Bob, LLC™, and Bassing Bob, LLC™ relies on such representations and statements, that User is an adult person over the age of 18 and has the requisite mental capacity to function as an adult capable of making decisions. In the event there is a dispute of any kind by and between User relating to this website, relating to Bassing Bob, LLC™, and/or relating to any action or non-action of any employee, agent and/or representative of Bassing Bob, LLC™ of any kind, then User expressly agrees and consents to resolving any legal dispute in litigation and expressly consents to the personal and subject matter jurisdiction of the Circuit Court of St. Louis County, State of Missouri (the “Court”). User expressly and knowingly agrees and understands and consents to the Court as the sole and exclusive site for any litigation of any and all claims that relate to or arise out of User’s use of this website and/or User’s business relationship with Bassing Bob, LLC™. User expressly waives any claim that User is not subject to the jurisdiction, personal and subject matter, of the Court, regardless of the residence or home of the User. User further agrees, acknowledges, and consents that in the event of any litigation, that the prevailing party shall recover from the non-prevailing party his/her/its reasonable attorneys’ fees and costs of such litigation and/or pre-litigation, including expert witness fees and costs.